Improve email deliverability and track your reputation with the MassMailer Email Monitor. The MassMailer Email Monitor is an all-in-one solution for email quality and deliverability, with direct integration into Salesforce CRM. Email deliverability is a separate metric from email delivery. Once emails have been properly delivered to an active email address, email deliverability governs where that email is sent. Some emails go to an individual’s inbox, but other emails end up in a spam folder or elsewhere. These emails may never be seen by the owner of the email address. You can control your email deliverability by improving the quality of your email content, protecting your email reputation, and curating your email list. MassMailer Email Monitor can help improve email deliverability with a number of important features. Your IP reputation and domain reputation will control whether your emails are delivered directly to users or into their spam folder. Over time, your email server will gain a reputation based on whether its emails are high quality, whether they’re sent too frequently, and whether they are bounced or rejected. If you’re sending out large quantities of emails that aren’t being interacted with, then your IP and domain reputation will go down. MassMailer email monitor can help you identify issues with your IP or domain reputation. MassMailer Email Monitor provides a full email preview, which will review potential problems in emails before they go live. This email preview can identify terminology that could potentially trigger spam filters, in addition to links that may lead to low quality or untrustworthy sites. By identifying potential issues in an email client preview, MassMailer can prevent damage to your IP or domain reputation. Once a company’s email reputation has been damaged, it can be difficult to recover. It’s better to ensure that your email reputation is kept strong throughout. You can also protect your email reputation by using a dedicated email server. Before emails are sent, you can use MassMailer Email Monitor to preview how many of your emails will be delivered. MassMailer can identify whether your emails may be blacklisted on different services and how many emails are predicted to arrive. By previewing your email deliverability, you can identify and address critical problems with your current email campaign. The first step towards improving upon your email deliverability is identifying your deliverability issues. Through email testing and spam testing, MassMailer Email Monitor can give you a complete picture of your email reputation and trustworthiness, giving you better overall control regarding your campaign results. DMARC authentication solutions improve email deliverability, by revealing potential issues with DMARC authentication and compliance. MassMailer Email Monitor comes with built-in DMARC authentication features, in addition to SPF and DKIM compliance. Altogether, this is used to improve upon the quality of both authentication and compliance and reduce the chances that an email may be rejected or marked as spam. Emails may not always appear to your recipients the way that it will appear to you. MassMailer Email Monitor has a complete email client preview solution, which will show you exactly how your emails will be rendered to your recipients. You can quickly fix layout and formatting problems before emails go out, avoiding emails that may have potential issues. The email client preview solution shows emails on multiple platforms at the same time, so you can support a number of mobile devices. As more people are using email on their mobile phones today, it becomes important to send out emails that are readable and attractive on any device. With the MassMailer Email Verifier add-on, you can easily identify potential spam traps, in addition to inactive emails and emails that consistently bounce. By cleaning up your email lists, you can reduce the chances of falling for a reputation-injuring spam trap, or potentially sending emails that will be immediately marked spam. The more responsive and engaged your email lists are, the better your overall reputation will be. MassMailer Email Monitor goes beyond checking your email IP and domain blacklists. Through the email monitor, you can also see whether email content or links could be attached to potentially blacklisted sites. Check your visual media, such as images and videos, in addition to any outbound or inbound links. If any of the sites being linked are blacklisted, you’ll see it on a report. Even a single blacklisted site in an email could potentially lead to that email being marked as spam or directly sent to trash. Sending out these emails repeatedly over time will damage your sender reputation. 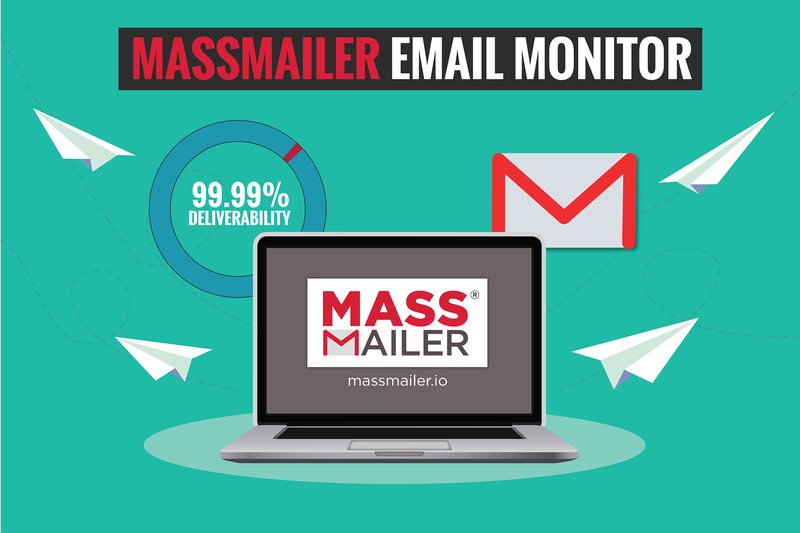 If you want to improve your email deliverability, MassMailer Email Monitor has all the tools you need. Through the email monitor solution, you can draft high-quality emails, preview how they will be viewed, predict whether they will be received, and identify any issues in the text and content. For more information, sign up for a free trial of MassMailer Email Monitor today.